The Stairmaster “Stepmill” delivers exceptional results! It gives you the same cardiovascular workout you would get on a treadmill plus a superior lower-body muscular workout! Work your heart lungs and muscles without jarring your joints. Readout Display:Computer console motivates you throughout your workout by giving elapsed time, calories burned, miles traveled, floors climbed, step rate, relative exercise intensity (METs), and power output (watts) for workout-to-workout comparisons. Features:Patented design ensures safes, biomechanically correct movement. Electronic braking mechanism precisely controls the speed of the drive system for a continuous, rhythmic climbing speed. Includes Polar Heart Rate monitor capability. 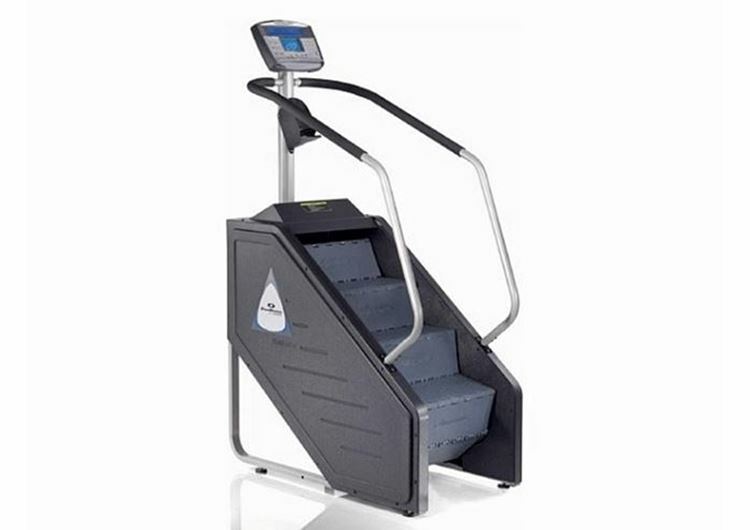 Buy StairMaster Stepmill SM916 online. If you are interested in the StairMaster Stepmill SM916 for sale, feel free to enquire above.